Recently I attended a technology “retreat,” which gave me a plethora of information on how to use modern technology to make a quilt. Artists need to understand certain technology. Most shows and residencies require basic computer skills, uploading and downloading files, changing image size to fit criteria, etc. 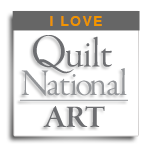 But as many, many quilt artists are embracing modern technologies as a tool in creating new work, I retreat from it. I have been working in textiles for a quarter century and, if anything, I am reaching backwards for both my inspiration and my skills. 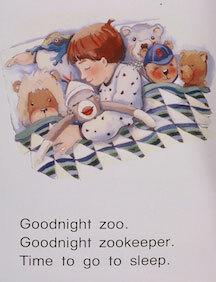 Twenty-five years ago I was an illustrator for text and trade books primary for early readers. Mostly I liked it. I was paid to make cute drawings using pen and ink with watercolor dyes. Several years into this career, the work had become tedious. As an outlet, I decided to make a quilt. Pure color and pattern. I had always loved fabric, and while I could not make a button-hole or attach a zipper, I did know how to sew a straight line. In two years I had made three or four traditional quilts and then decided that wasn’t for me either. I am a storyteller. And so… the art quilt: texture, color, fabric and I could make it up as I went along. Within a few years I was using fusible web appliqué to make narrative art quilts. I was prolific. I was happy. I followed the trends, going from commercial fabrics, to hand-dye, to dying my own fabric; and while I never perfected my machine quilting, I did practice it. A lot. Then I took my skills and my stories on the road, working with the Ohio Arts Council as an Arts-In-Education artist, traveling around the state teaching my craft to anyone from preschoolers to senior citizens. Then one day, that too felt stale. Two years ago, I gave myself the gift of three months time–to play, to experiment in my studio. The time would be devoted to working whole cloth with dyes, paints and various drawing tools. The goal was to simplify and go back to my first love: drawing and mark-making. Illustrating. At about the same time, a first cousin sent out a CD of our family tree–familiar names, exotic names, dates and places and many photographs of my family’s relocations over many generations. With a new method and with newly received but very old family image and story, I was passionately launched into a new series. 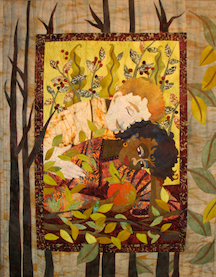 My Quilt National entry for 2013, Bernadette in Artichokes is the first piece of that series. Bernadette was my great-aunt, youngest child of Anna Christie MacLeod of the Isle of Skye, Scotland, and John Knechtges of Calumet, Michigan. The bird wings in her hair represent the migrations of her and her parents. The artichokes are giant thistles, the flower of Scotland. The birches are from the Upper Peninsula of Michigan, a beautiful and wild place. The dove in her hand is for contentment. Aunt Bern never married, worked hard all her long life, and took care of her aging mother. When I was little I asked her if she was sad that she hadn’t married–nervy question! She answered that she always enjoyed her own company. Good lesson! Thanks Aunt Bern! 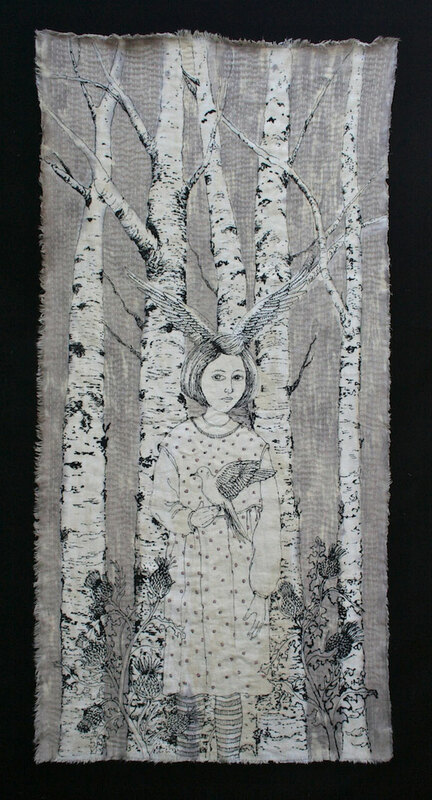 Bernadette In Artichokes is dyed, discharged, and drawn with paint on a hemp /cotton blend. It is hand-quilted with pearl cotton. Like Aunt Bern, I am happy in my own company, though alone in my studio I do not feel truly alone but back in time with the relatives. Working from sketches, stitching by hand, this is the technology I embrace these days. 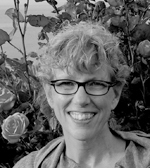 When not in her studio, Kate works at Goodwill Art Studio and Gallery, creating art with adults with disabilities.